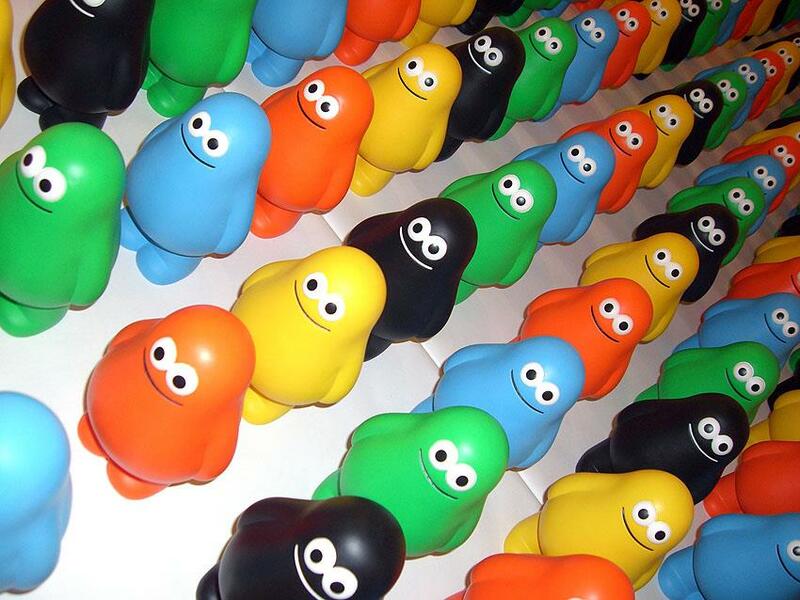 The original 2D character design is, but the toy designs and packaging that I spent months and thousands of dollars developing, not so much. 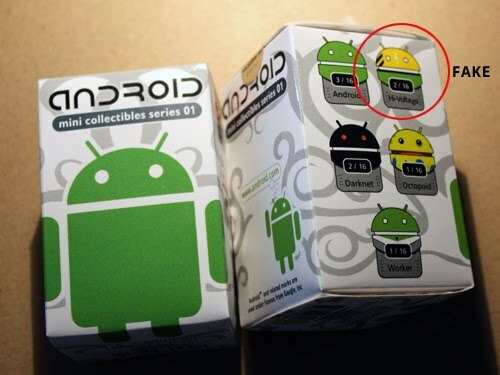 Also the actual ANDROID logo text that appears on the box and back of the figure is trademarked property of Google, Inc and is not supposed to be used. So if I understand the Android Branding guidelines correctly, I could re-draw the Android using the exact hex code or Pantone color, as long as I kept it in 2D and did not include the Android custom typeface. 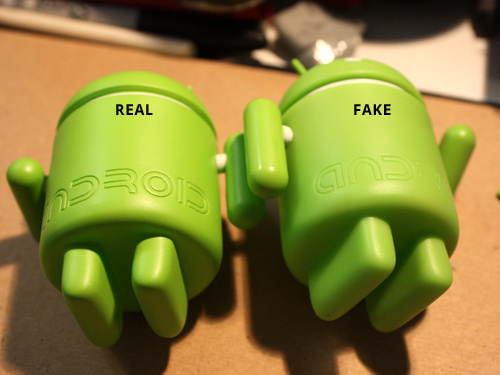 The evildoers violated the terms by manufacturing the 3D Android designed by Andrew and using the trademarked logo text. 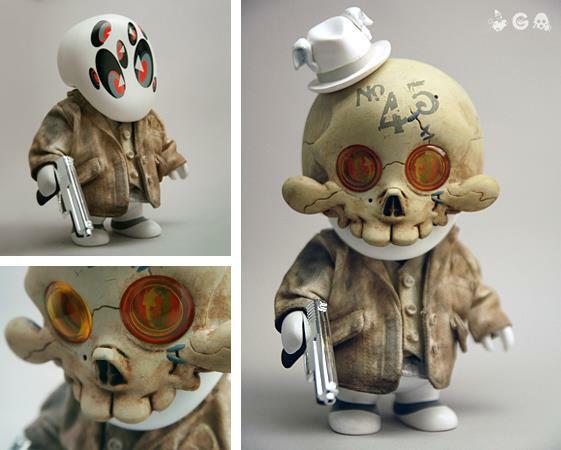 Many collectors wouldn’t want to buy a fake Michael Lau figure because their purchase is, in part, based on the value and collectibility of the toy as made by Lau. However, I wonder how many people care whether the < $10 Android in their hands was designed by Andrew Bell or some anonymous chap in China? When these figures came out, the hype was huge, and I was around at Neon Monster witnessing the little tricks people tried to get more than the allowed max per customer. With the exception of we who are fans of Mr. Bell, it seems the majority of customers buying these heard about them on a tech site and were card-carrying Cult of Google members. Will they care if their Android has glossy or matte arms? It remains to be seen. 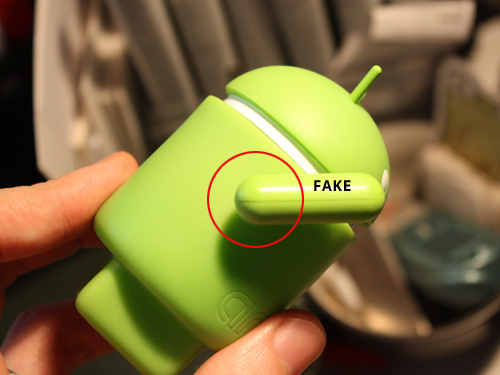 If you DO care, please check out Andrew’s Field Guide to Spotting a Fake. AUTHENTIC Androids will be back in stores (including Neon Monster) sometime in the (hopefully) near future (per Mr. Bell). 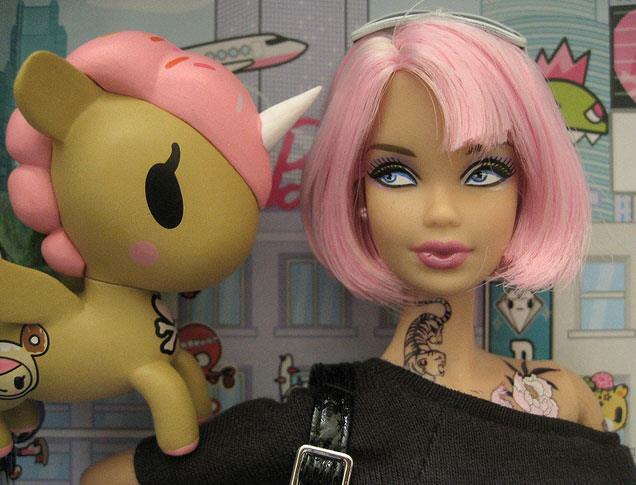 Tokidoki is Hiring a Toy Designer! 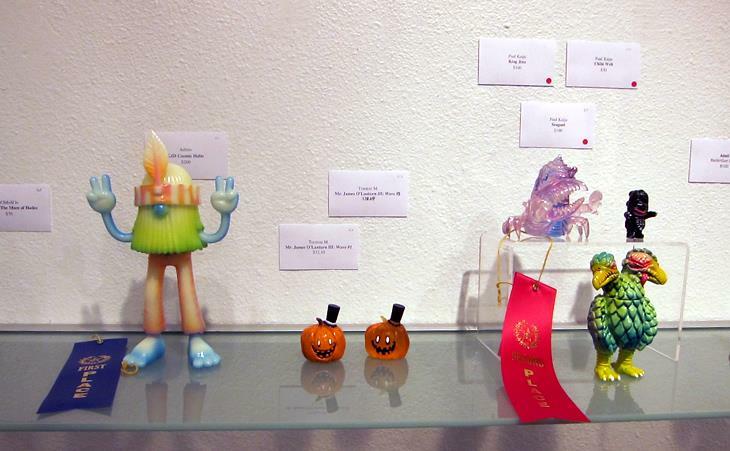 Ribbons for Resin: Is the Toy Art Community Ready to be Judged?